HP tour met all our expectations! "I would highly recommend this tour. We loved every minute!!!! Booking was easy, and there were no issues with our transfers. Heavy traffic out of London to reach Warners, but this is beyond any control. We still had a full 4 hours at the studio which was sufficient plus time for a very nice meal at the restaurant there. The food was an unexpected plus in terms of choice, quantity and taste. Perfect way to top off the tour. We were very satisfied!" Don’t get stuck standing in line or find tickets are sold out. 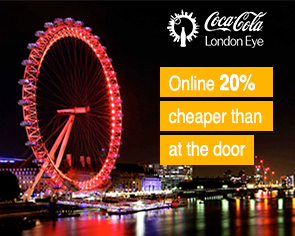 Pre-book your tickets here for the most popular attractions like the London Eye, Madame Tussauds, the London Dungeon, Buckingham Palace, and Harry Potter Warner Bros. Studio. Take advantage of this rare opportunity to explore the State Rooms of Buckingham Palace and experience the Changing of the Guard. The Palace is only open for two short months each year and this very popular tour usually fills to capacity, so book early before leaving home!